What a wonderful month we’ve had so far this September! We invite friends to join in, bringing apples if possible, and together we sort, wash, chop, crush and press…. This year we were really fortunate to borrow bigger equipment from our friends at Abundance London which made the work easier and the day so much more fun. We pressed 128 pints of apple juice (20 pints up on last year) and thanks to the new electric scratter, which the children could just throw whole washed apples in, the demijohns were filled in around two hours. The remaining apple pulp is then reclaimed to make Apple and Chilli Jelly and a jolly nice apple wine. To keep up to date with all our news, subscribing below (bottom of the page) will ensure you never miss a thing! It seems that we weren’t the only ones busy this month, as usual, Urban Food Fortnight appropriately falls in the midst of harvest time and is the perfect celebration of all the fabulous food grown, made, cooked, saved and foraged in the capital. As part of this London wide event, Hen Corner ran special courses and promotions at our Micro Bakery to join in with the bigger campaign and, as regular readers will know, were delighted to reach the finals of the Urban Food Awards in three different categories. The Urban Food Feast last week was definitely a celebration of fabulous food and drink and as guests we were treated to all kinds of urban street food and London made drinks. 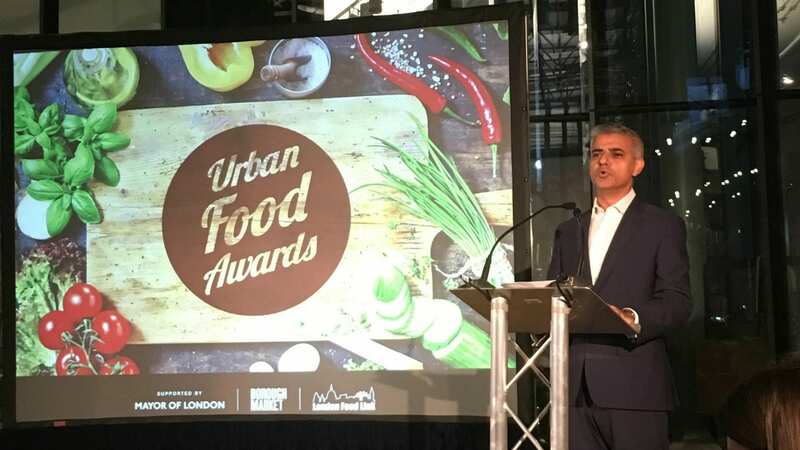 The Mayor of London, Sadiq Khan, opened the event at Borough Market before handing over to the judges to present the awards. The winners were announced on the night and the final results can be found here. Whilst we would have loved to have scooped a trophy, we were really pleased that others who are producing quality urban food for sale, day in day out, were honoured for their hard work and faithfulness. Producing food for sale is only about 10-20% of our business here at Hen Corner, so we were thrilled to be in the finals and take our hats off to those that took home the first prizes! We’ve made seven or eight different pickles and preserves this year, do you make any yourself? If so, what’s your favourite? sounds as if it could be as we remember life in our youth. Thanks for this, I’ll email you with a suggestion! Calling all the wood whittlers, pocket knife carriers and hunter-gatherers… We’ve invited experienced craftsman, Thomas Bickerdike, as our guest tutor to lead this wood-craft course at Hen Corner.